The futurist 1984 Explorer™ EX is “1984” come to life with a classic form that stands out on stage. Originally introduced in 1958, the Explorer’s radical and futuristic body shape has since been adopted as the instrument of choice for hard rock and metal players. With a sleek new update of the classic design combined with high output EMG pickups, the “1984” is a whole new Explorer. Epiphone’s 1984 Explorer EX is covered by our famous Epiphone Lifetime Limited Warranty and is backed by 24/7/365 Customer Service. Don’t let the future pass you by. Reach out for a “1984” Explorer EX at your Authorized Epiphone Dealer. The 1984 Explorer EX features a solid Mahogany body for a light but balanced weight that’s perfect for long hours on stage and in rehearsal. Mahogany is an excellent tone wood that gives the Explorer EX biting sustain when played at loud volume. The Mahogany neck is hand-fitted and glued into the body and features a 24.75” scale, 22 medium jumbo frets, a 1.68” nut width, and a 12” radius. You'll also notice the "1984" Explorer has no pickguard, giving the guitar a sleek, uncluttered and modern look. The 1984 EX’s big brother tone comes from an active EMG-85 neck pickup and an active EMG-81 bridge pickup. The EMG-85 uses two Alnico magnet-loaded coils with a wide aperture for a beefy low end and a fat top end. 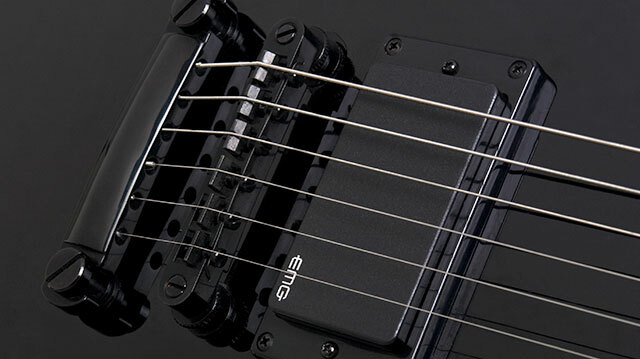 The EMG-81 pickup is designed especially for lead guitar and excels at high volume overdrive. Distortion during lead passages is consistent with long sustain and smooth breakup fades. The active EMG pickups excel at pushing any amp into overdrive. The EMG-81 features ceramic magnets and close aperture coils for a ringing sustain and high end cut. 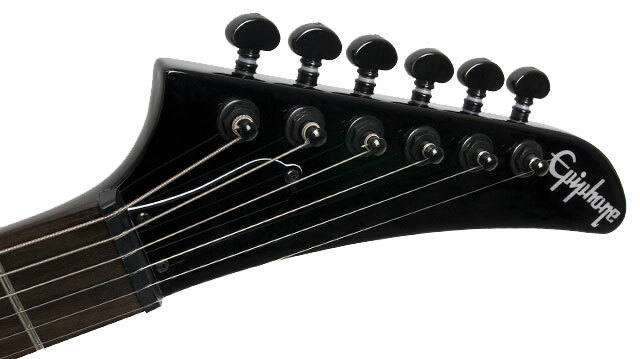 Combining the neck and bridge pickups makes for a head-ringing combo that will cut through any stage volume. A hinged compartment on the back makes changing the active pickup’s 9-volt battery easy. The pickup selector is an Epiphone all-metal three-way toggle switch. 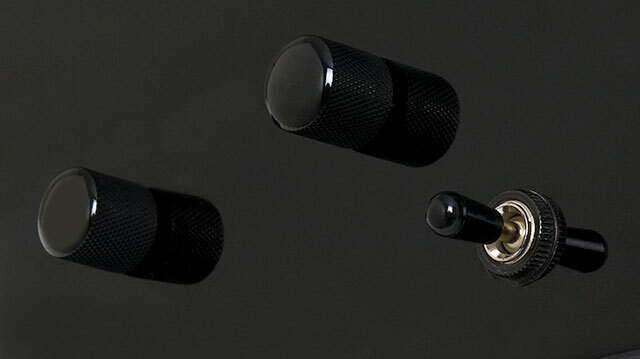 Controls feature all black hardware with Master Volume and Master Tone which makes blends and volume adjustments easy. The 1984 Explorer EX includes Epiphone’s trademark LockTone™ Tune-o-matic bridge and LockTone™ StopBar tailpiece, which provide solid string tension and quick tuning accuracy. Tuners are Grover® with metal buttons and Epiphone’s own exclusive non-rotating heavy-duty output jack.